Key exhibits are copies of artefacts from Mohenjodaro, 13th centry carvings, silverware, natural history exhibits and textiles . Possibly the most startling piece is a vast 19th century marble statue of Queen Victoria. This part also has two plaster Venuses and many other splendid portraits and photographs of royal princes of Saurashtra and European dignitaries, historic finds and architectural fragments from archeological sites, dioramas of life among the rural, pastoral and tribal citizens of Saurashtra, handicrafts and princely relics. Location : Vadodara, Gujarat. Founded By : Gaekwads. Founded in: 1894 AD. 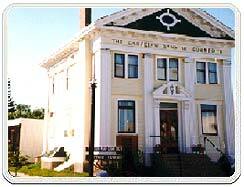 Founded by the Gaekwads in 1894 AD, the museum has an impressive collection on art and archaeology, natural history, geology and ethnology. The Vadodara Museum and it's twin, the Picture Gallery are indeed the most rewarding destination for visitors with an iota of curiosity. The museum houses a prized collection acquired in India and abroad by Maharaja Sayajirao III. The collection of Indian miniatures, European oil-paintings, sculpture, textiles, objects from Japan, Tibet and Nepal, Indian and foreign coins, wide array of items for the study of science and natural history earns for this museum a place of its own. The museum also houses famous Akota Bronzes, 11th century Shiva Natraj, exquisite 9th century Shiva Natraj, exquisite 9th century ivory box from Nagina, U.P., Ganj -e- Shahid inscription of Qazzaq Khan, Mughal Governor of Dabhoi (1635 AD) 32 miniatures from Razm Nama, a Persian version of the Hindu epic Mahabharata commissioned by Emperor Akbar, 109 miniature paintings donated by Jagmohandas Modi, etc. The upper floor of the museum building contains a section on natural history, ethnology and geology while the upper floor of the gallery building contains European paintings. The ethnology section features the costumes and utensils of Gujarati tribes. There is an exhibition by the Department of Archaeology at the M.S. University. Here you will find catalogues and a collection of Buddhist period discovered from Devi-ni-Mori, which is presently submerged in Meshavo Dam near Shamalaji. Uperkot Fort is believed to have been constructed by the Yadavas (the clan to which Krishna belonged) when they came to settle in Dwarka. 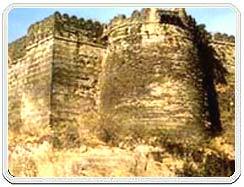 Famous in bygone times for its virtual inaccessibility, the Uperkot or upper fort is girdled by a wall that is, in some places, over 20m. high. An ornate entrance gateway leads to the ruins. Although extensively renovated and extended many times during the course of its long chequered past, its antiquarian outlook remains intact to this day. The fort has many interesting exhibits like the two cannons placed on the western wall and believed to have been cast in Egypt. The bigger one is the colossal 5 m long cannon called 'Nilam Tope'. It was cast in Egypt in 1531 AD and left behind by a Turkish admiral who was assisting the Sultan of Gujarat against the Portuguese at Diu in 1538 AD. The other cannon is known as 'Kadanal'. Step Wells: There are also two interesting large step wells ('vavs') here. The 11th century Navghan Kuva has a circular stairway that descends over 50m down into the well. The Adi Chandi Vav descends down 170 steps. The fort has many exciting exhibits like the two guns placed on the western wall and believed to have been cast in Egypt. The bigger one is called the Nilamtope and the other one is known as Kadanal. In and around the fort one can find numerous Buddhist caves belonging to the 200 B.C. to 200 A.D era. In the Uperkot is a two storied cave said to belong to the initial century which is believed to be a Buddhist Chaitya cave. There are also Buddhist caves at Bava Pyara Math found below the Southern walls of Uperkot arranged in three rows. Scholars believe that they are Buddhist caves perhaps belonging to the period between 200 B.C to 200 A.D. Location : Vad Nagar, Gujarat. Also Called As : Kirti Stambha. Height : 40 Feet. Initially : Part Of A Temple. 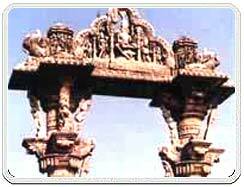 The 'Toran', called the 'Kirti Stambha' (Temple Arch) in other regions, is a semi-religious or civic form that flourished under the Solanki rule in Gujarat. Two of the finest examples are at Vadnagar. At one time, both must have been connected with a temple, not a outline of which now remains. Of the two, the one that stood at what was the edifice of Rewah, is a accurately imposing structure. Almost complete and a classic example of its kind, it rises to a total height of 40 feet. It consists of two huge and elaborate columns, supporting a wide cornice, above which rises a vaulted pediment, containing figures. The pillars are designed with an upper storey or attic, between which is thrown an attractive cusped arch, making the effect of an archway more apparent. All the parts forming the 'toran' are devised on the same principles as those employed in the temple design. Location : Gujarat. Built In : 1867 AD. Important Feature : Part of It Has Been Converted Into A Museum. Orchard Retreat of : Maharao Madan Sinh. The Sharad Baug Palace situated to the east of Hamirsar Lake was the orchard retreat of Maharao Madan Sinh, who signed the treaty of succession and commissioned the Kandla port. It is an Italian style mansion. Set in spacious and marvelously tended gardens, the palace itself, built in 1867, is of very modest proportions, with just a drawing room downstairs and bedroom upstairs. Some of the rooms are now a museum with old furniture, colonial trappings, portraits, stuffed tigers, elephants tusks, silver caskets, old utensils and trophies won by Madan Sinh in tennis and other sports. The dining room is in a separate building and on display here are a number of the Maharao's personal possessions. Also on display is his coffin, in which his body was brought back from the U.K. for cremation! The Maharao of Kachchh Shri Madansinhji Jadeja - the last Maharao died in the United Kingdom in 1991. The great gardens of Sharad Baug Palace have nurseries for various plants, and grass courts to which leading tennis players were regularly invited. One can saunter down leafy paths overhung with hibiscus and waving palms: migrant birds call from their hideaways, relaxing after their long flight across the deserted Rann of Kachchh. Sharad Baug Palace, unlock to guests who can buy plants from its nursery, is the most relaxing and verdant of the royal palaces in Bhuj; as else where the city palace complex is completely surrounded by other buildings. 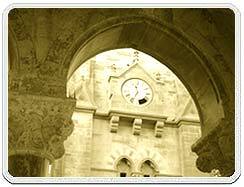 Sharad Baug Palace is open from 9 am-12 pm and 3 pm-6 pm daily, except on Fridays. Part of : Sidi Bashir Mosque. Unique Feature : On Shaking One Minaret, Other Also Shakes. The Shaking Minarets are two minarets located at the Sidi Bashir mosque, near the Sarangpur Gate and about 1.5 kilometers south of railway station of Ahmedabad city, in the state of Gujarat. They are uniquely designed in a way that when one minaret is shaken the other one shakes too. If one of the minaret is shaken the other vibrates too, as if following the principal of resonance. In a trial, a small ball was hung to one of the minarets and when the other minaret was shaken, the hanging ball on the other exhibited swinging effect. The famous shaking minarets aroused so much curiosity in British rulers that one of the minaret was dismantled by them, in vain, to fathom the secret of its construction and the mystery behind the swinging effect. 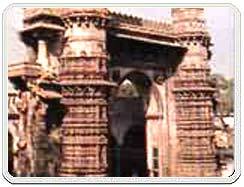 This is a unique historical architectural marvel in the state of Gujarat. Each minaret is three storeyed with delicately carved balanced stone balconies, which girdle the minarets of each storey. These minarets are about 21.34 meters high. Though popularly named after Sidi Bashir, a favourite slave of Sultan Ahmad Shah I, it is perhaps likely, the designer was Malik Sarang, a noble of Sultan Mahmud Shah Begada's court in whose name the adjoining locality of Sarangpur was built. Malik Sarang was a Rajput Hindu converted to Islam under the influence of Sultan and soon after became the Governor of Ahmedabad , in 1521 AD, during the reign of Muzaffar Shah II (1511-1526 AD). Popularly these are called as Siddi Bashir Minars. On The Bank of : River Saraswati. Built By : Siddharaja Jaisinh. 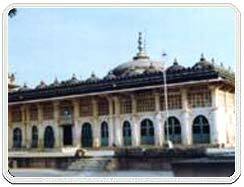 The well-known saint, Makhdum Shaikh Ahmed Khattu, a believer of Baba Ishq Maghribi of Khattu, established and died at Sarkhej, about 10 km south-west of Ahmedabad . Construction on a 'dargah' and mosque were begun in 1446, under Mohammad Shah II, and completed in the reign of Sultan Qutub-Ud-Din Ahmed Shah. The 'dargah', the largest of its kind in Gujarat, has a plinth area of 31.70 m, and is roofed by a large dome. It also has surrounding rows of 13 pillars on each side. The walls are broken up into two storeys, and perforated stonework of great variety fills up the spaces above and below the dividing stones. The inner central square is partitioned by screen walls, perforated in steel and metal, with a door in similar workmanship. A covered entrance leads from the 'dargah' into the mosque, which is to the west. The mosque has a roof of uniform height. Five big domes in a row, and 40 smaller ones, symmetrically disposed, correspond to the pillared squares within. The roof is supported by 120 pillars of the same pattern. The mosque has an elegant simplicity; the columnar style adopted here appears to be on purpose, and compares favourably with the arched façade of other mosques in and around Ahmedabad . The ablution tank is situated in an enclosed alley, at half the height of the roof. Access to the roof is through a porch, in the thickness of the wall. The tomb of Sultan Mohmud Begada is also part of the Sarkhej Complex. Stonework covers the pillars on three sides of the tomb, except for the east. A balcony window projects into the tank. The tomb has a dome of 6.4 m diameter, carried on 12 inner pillars and containing tombs on raised platforms. This is successively surrounded by a second and third square of 20 and 28 pillars, respectively. The root has, besides the major dome, 16 outer, smaller domes. Sarkhej has an artificial lake, too. 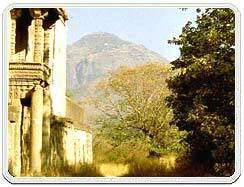 Road : Sarkhej, which lies on the outskirts of Ahmedabad , is easily reachable by road. City bus services are available, as well. Dedicated To : Lord Shiva. The Rudra Mahal at Sidhpur was conceived and constructed as a honor to Mahadev, by the first Solanki king of Gujarat, Mulraj. Construction of the Rudra Mahal started probably in 983 AD and took 175 years to complete. Twenty years after ascending to the throne, Mulraj had put his kingdom into order, and was in a position to turn to more unworldly things. Mulraj decided that the bank of the river Saraswati was a fitting site for the temple. The 150 yard long and 135 yard wide temple also had 11 smaller temples, and three 40-feet high gates. Approximately ten years after the work on the temple had started, Mulraj breathed his last. The succeeding four generations did nothing to further the work. The fifth generation, Siddharaja Jaisinh, restarted the work on the structure. After 14 years of incessant work, the temple was finally completed. The main temple in the complex was 150 ft x 100 ft, the largest temple, then, Somnath, was by comparison much smaller; a mere 130 feet x 75 feet the main temple had a three-storey high foyer. 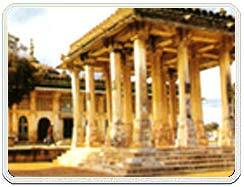 It is said that the entire structure rested on 1600 pillars. Built In : Later Part Of 19th Century. 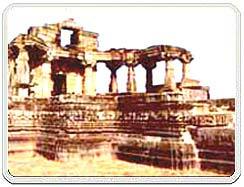 Built By : Rao Pragmalji. Rao Pragmalji Palace Next to Aina Mahal, Rao Pragmalji's Palace is crossways the courtyard. Designed by the British engineer Col. Wilkins (though some believe he was an Italian), the palace was begun in 1865 to swap some stables and out-houses. Constructed in later piece of the nineteenth century, the Prag Mahal is a magnificent building made of ornate Italian marble and sandstone. 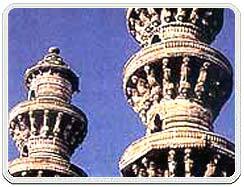 Its Corinthian pillars and 'Jali' work depicting European flora and fauna are worth observing. Rao Pragmalji Palace contains a vast Darbar Hall (25m x 12m) and 12m high with verandahs, corner towers and 'zenanas', all opulently decked out with carvings, gilding, Minton tiles and marble. Opposite the clean, tidy reddish Prag Mahal a bighearted cornucopia of fantastic carved wooden balconies and window-screen enlivens walls. Much of the rest of this fairly modern palace is empty, locked up and rapidly deteriorating. There are good views of surrounding countryside from the tall clock tower linked to the palace by covered galleries. There is a fees required to be paid to enter the palace. Named After : His Close Friend, Ranjitsinhji. 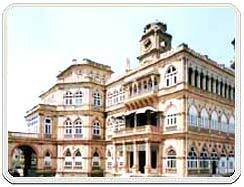 Amarsinhji built the Ranjit Vilas Palace on a hill, overlooking Wankaner town. It took seven years to full and was planned by Amarsinhji himself. It was inaugurated by and named after his dear friend Jam Ranjitsinjhi of Jamnagar. The ground of the palace extends to two hundred and twenty five acres. 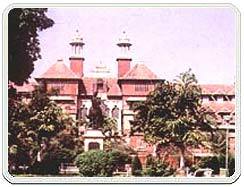 The state guesthouse, Chandra Bhavan is also located in the same campus in the vicinity of the Ranjit Vilas Palace. Architecture Ranjit Vilas Palace is a very assorted building, a bold attempt to synthesize various architectural styles. The front and back facades are appropriately designed in response to its location. The receding volumes, on the front, creating a series of terraces culminating in two beautifully designed pavilions with gothic arches. The façade has arcades of arched Victorian windows, Italianate pillars, gothic arches and classical parapets. A massive Dutch roof spans the central wing of the palace. A double staircase is the unique feature of the interior of this palace, where the royal ladies could ascend and descend without being seen by men. A similar double staircase at Chateau de Chambord, Loire, France, dating to the Renaissance period, inspired this staircase. Exotic Ornamental This palace has a memorable collection of swords, shields and daggers, 95 species of stuffed animals, duelling pistols, pig sticking spears, silver, linen chests, silver-plated howdahs, thrones, paintings and portraits. The palace has magnificent spiraling marble staircase, stained glass galleries, chandeliers and period furniture. Vintage Car Collection The garage, on the grounds of the palace complex, has vintage cars like the 1921 Rolls Royce Silver Ghost, some imposing American cars and horse-drawn carriages. The palace also has a stable of Kathiawadi horses. There are large grounds with beautiful Italianate fountains. Location : Patan, Gujarat. Built By : Rani Udaymati. Built In Memory of : Bhimdeva. Significance : Most Elaborately Adorned Step Well In India. Step-wells, subterranean structures with steps leading down to the water level, are found in large numbers in the arid regions of Gujarat and Rajasthan . They started as simple structures, and in course of time, evolved to become complex, aesthetically pleasing works of art. 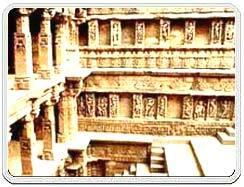 The Rani-Ni-Vav at Patan, is one such monument. The 'Vav' was built during the reign of Rani Udaymati of the Solanki Dynasty, probably as a memorial for her husband Bhimdeva I (1022-1063 AD), it is about 134 kms northwest of Ahmedabad , and about 57 kms from Mehsana. No other 'Vav' or step well in India is so profusely adorned as the Rani-Ni-Vav. More than 800 sculptures form a remarkable backdrop to what was purely a functional structure. The Rani-Ni-Vav forms the link between a 'kunda' and the now classical step-well. This is due to the fact that in addition to the straight staircase, it also has lateral staircases, along with very broad, stepped corridors. The 'Vav' is laid out in an east-west direction, with the entrance in the east and the well in the west. Though it is in a dilapidated condition, the entrance, the side-walls of the stepped corridor, some of the 'mandapas' and the back wall of the well are still intact. Five lateral, staggered staircases attached to be side-walls connect various storeys. 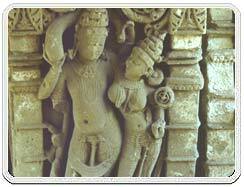 The 'Vav' is very rich in sculptures. Each level is profusely adorned with carved friezes and deities. Sculptures of deities in recessed and projecting niches cover all sides of the well. The lower most level has 37 niches with rudimentary images of Lord Ganesh in the centre. The images of Sheshashayi Vishnu in the central niches, on the upper levels, are more elaborate. Also, on the upper levels, are impressive images of Laxmi-Narayana, Uma-Mahesh, Brahma-Brahmi, and Kuber and Ganesh, with their respective consorts. On the lower levels, are the images of Vishnu's incarnations and 24 forms. Interestingly, however, despite the fact that the 'Vav' is a water structure, the 'Kurma' and the 'Matsya' incarnations do not find a place. Location : Bhuj, Gujarat. Housed In : Aina Mahal. Established in : 1977 AD. 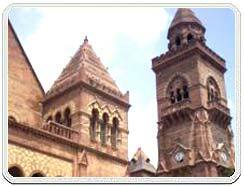 The heritage of Kachchh art and culture is displayed in the Madansihji Museum (Aina Mahal) Bhuj. The last ruler of Kachchh Maharao Madansinhji established the Maharao of Kachchh Aina Mahal Trust on 1st January, 1977. 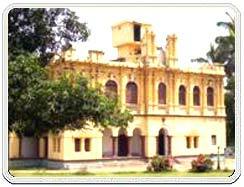 Aina Mahal means a 'mirror palace'. 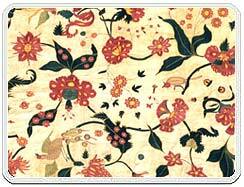 It was created by the artists Ramsinh & Gaidhar Devshi in the period of Maharao Lakhpatji (1752-61). In 1757, visited the emperor Alamgir in Delhi. He was graced with the title of 'Mahi Maratib'. He welcomed foreigners in his court. Fortune brought him a man named Ramsingh Malam who specialized in Kachchhi architecture, enamel work, jewellery, tile work and interior decoration. The speciality of Ramsingh is the Hall of Mirrors in the Aina Mahal. The walls are white marble covered with mirror which are separated by gilded ornaments. The hall is lit by elaborate pendant candelabra with shades of Venetian glass. The hall of mirrors is on the second floor of the Aina Mahal but Ramsingh devised ingenious pumps and siphons to raise water to fill the pleasure pool and to operate fountains, which cast spray in an intricate variety of patterns charming the eye and cooling the air. The small state residence, carpeted with exquisite Kachchhi silk embroidery, its walls paneled high with the same priceless fabrics still contains Maharao Lakhpatji's bed. The hall is filled with a miscellaneous collection of objects; a Dutch Clock, English and French celestial globes, some antique pictures, mechanical toys, glass and china. On the walls of the corridor are a variety of pictures, some European and many Indian. The Aina Mahal alone cost eight million kories and was only one of the many enterprises which the Maharao and Ramsingh undertook together.